BDE Manufacturing has established a reputation in the precision manufacturing of quality medical devices, tools, and components. 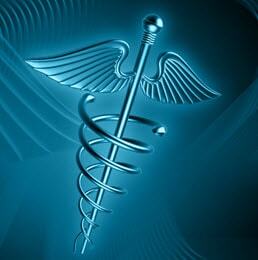 We are aware of the stringent compliance standards required in the medical industry. Our adherence to close tolerances, and in-depth understanding of the client and end-user requirements have helped us survive all these years. Our following machining capabilities have helped us gain prominence in the highly competitive medical industry. • Electric Discharge Machining (EDM): This process helps achieve a high level of accuracy with +/- 0.0001” typical tolerances. We can provide tapered cuts up to 25 degrees depending on the height of the work piece. Many of our medical industry clients have approached us for wire EDM services. In this method, the material to be cut is submerged in a dielectric cutting fluid, usually deionized water. A thin single-strand wire electrode continuously travels through the workpiece while an electric current is run through the wire, creating an electrical spark of intense heat (8000-12000°C). The electrical spark cuts the material by removing the metal content through melting and vaporization. The CNC controlled upper and lower guides are independently programmable from each other allowing for 2 separate profiles to be cut on the same work piece. At the same time, the dielectric cutting fluid cools the material and flushes away particles that have been cut from it. • CNC Turning Services: In this process, a cutting tool is used to cut a material, which is spinning at high RPM. This technique is appropriate for materials that require high rotational symmetry. • Precision CNC Machining Services: Medical industry demands devices, which are precision designed. We meet this requirement with our precision CNC machining services. Our advanced CNC machining equipment allows us to deliver complex parts with close tolerances, and in various multi-sized batches. • Vast experience in ultra-precision machining of medical devices, and parts. • Our facility is ISO compliant and dedicated to quality. To ensure the highest level of precision, our facility is dust, and temperature controlled. • We use only the best CNC machines, which are calibrated to 5 axis, lathe work, and wire EDM. • Stainless Steel: This is the most popular material in the medical industry. Stainless steel offers various hygiene benefits, which is valued by our medical industry clients. It offers a high level of corrosion resistance, and durability, which is very important in a medical industry. • Nitinol ®: Nitinol is one of those alloys, which have received approval from the medical fraternity in the recent years. This is an alloy of titanium and nickel, which is well known for its shape memory effect, excellent damping capability, biocompatibility as well as superelasticity. These properties make it ideal for building various types of medical devices. • Titanium: Titanium is widely used for building implants because it is biocompatible. The material possesses a wide array of beneficial properties including excellent flexibility, and elasticity, strength, lightweight, non-toxicity, and corrosion resistance. We provide CNC machining for medical grade titanium and titanium alloys. • Plastics: Various types of plastics are used in the medical industry. Plastic polymers are robust and easy to process. Also, they offer low-friction, long term performance, and are affordable. We offer precise CNC machining of plastic medical tools, devices, and components. • Composites: These materials are largely used in building medical devices, and components across the medical industry. Today, diverse composites are used to build devices and equipment that help diagnose, ease, and treat effects of injuries and diseases. You can contact us for more details of our CNC machining services for the medical industry. Alternately, you can request a quote for medical CNC machining.